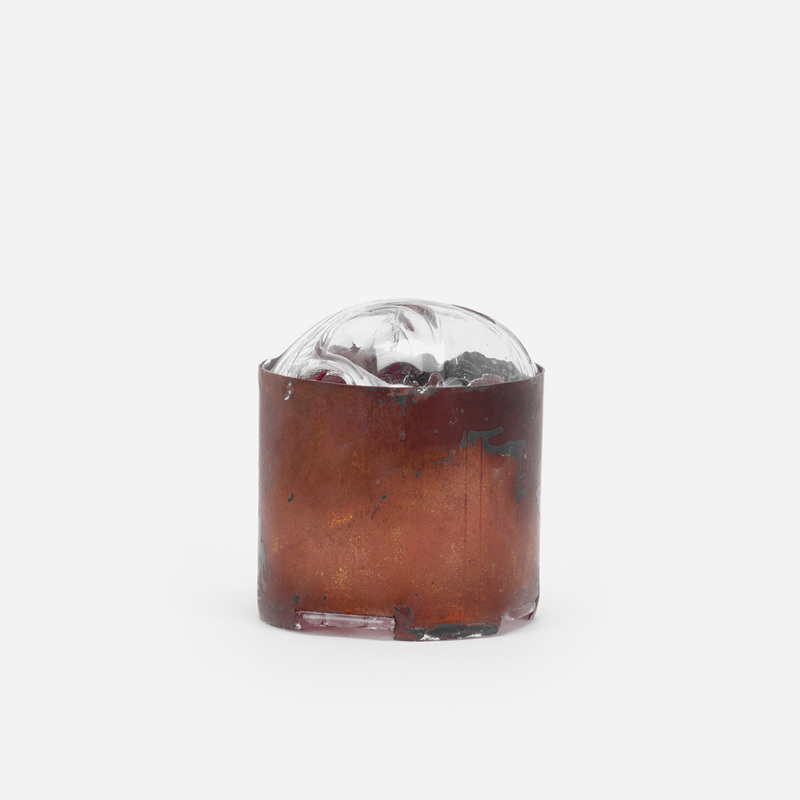 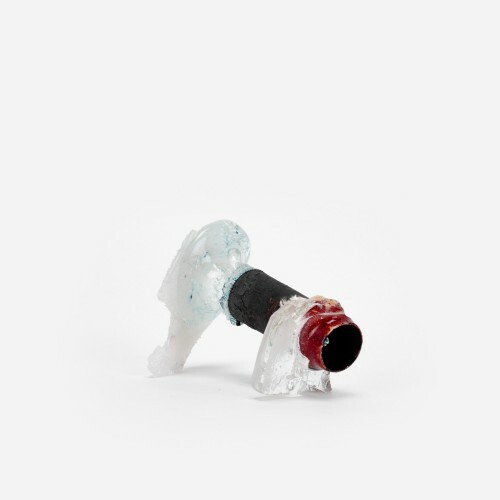 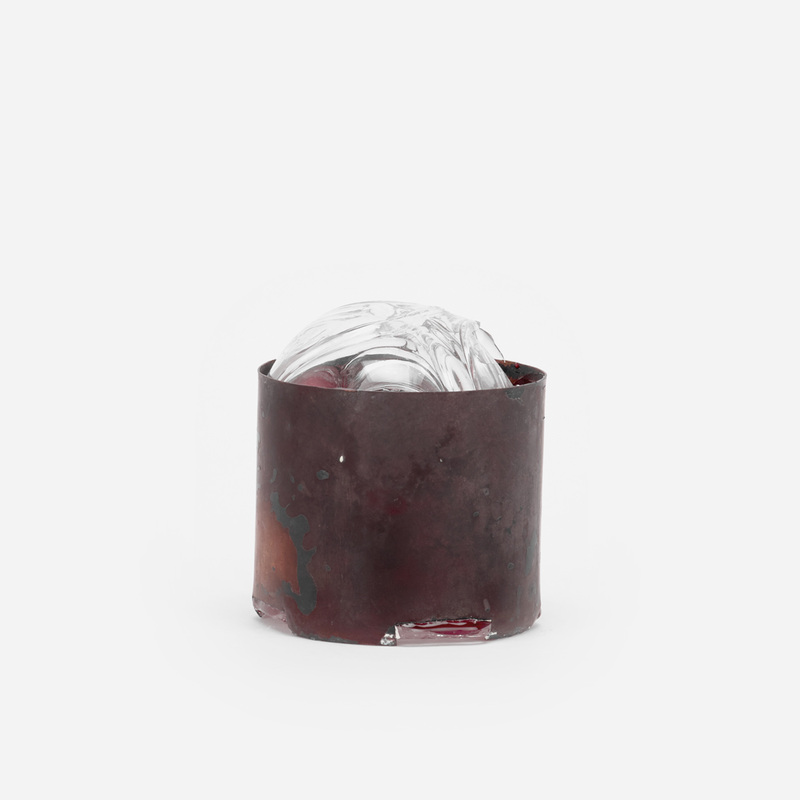 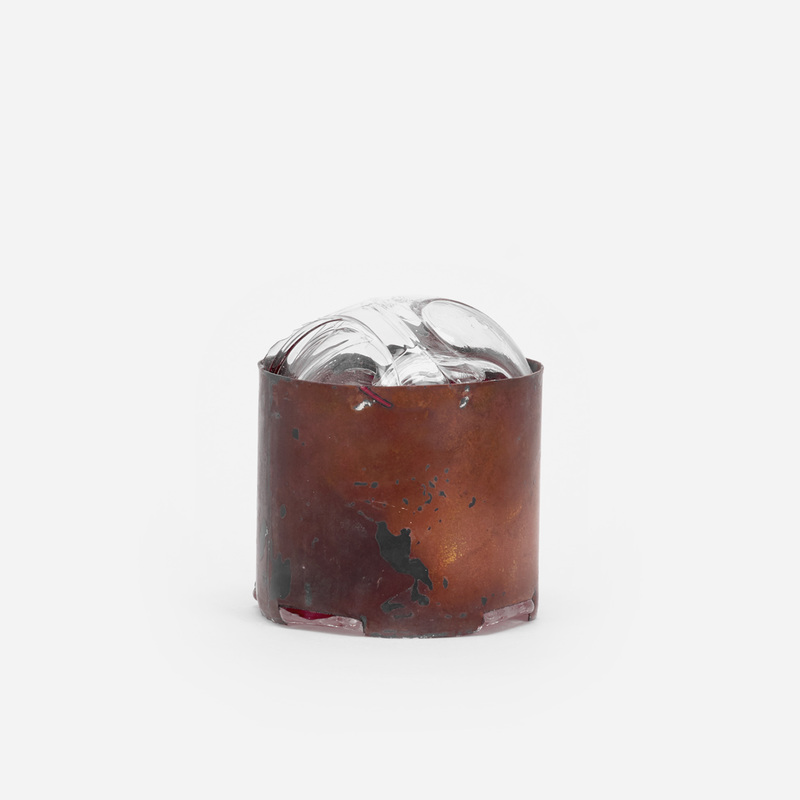 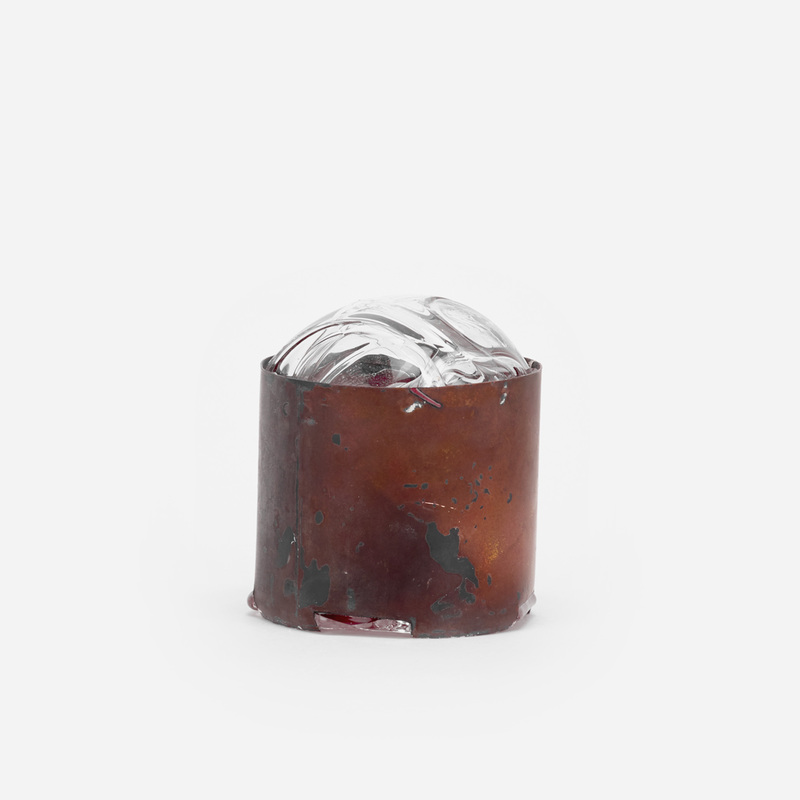 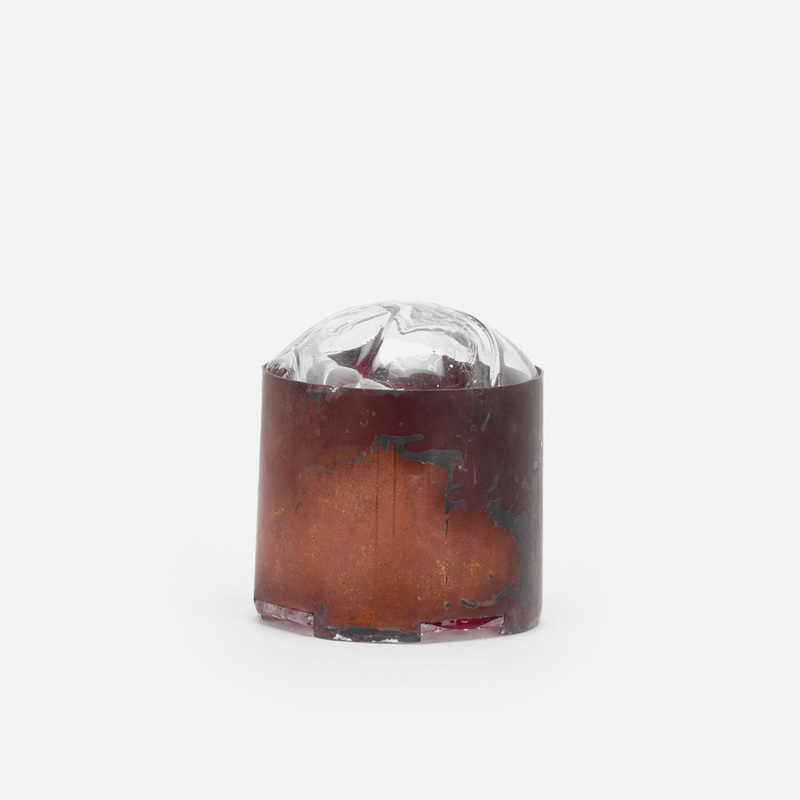 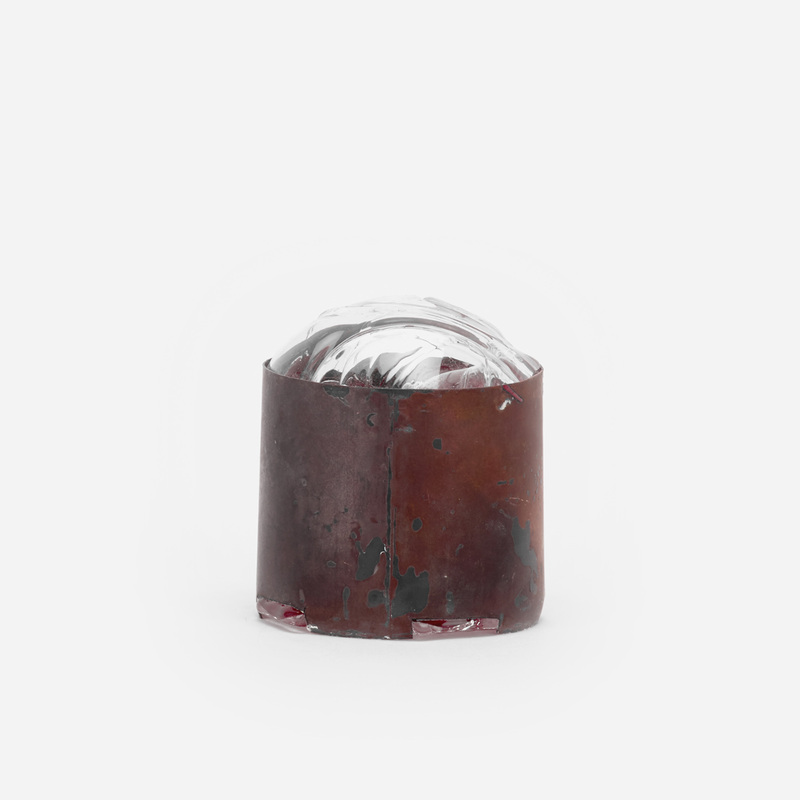 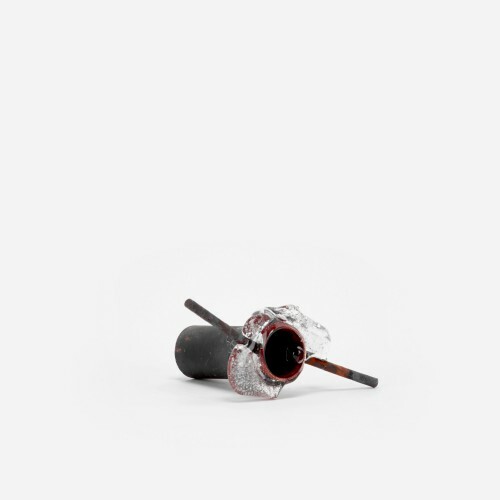 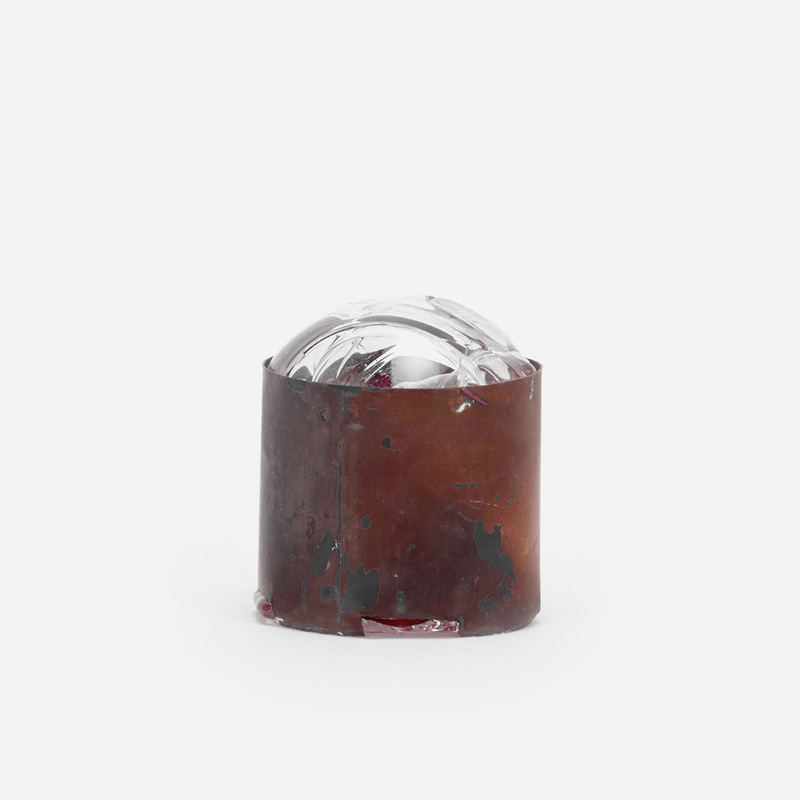 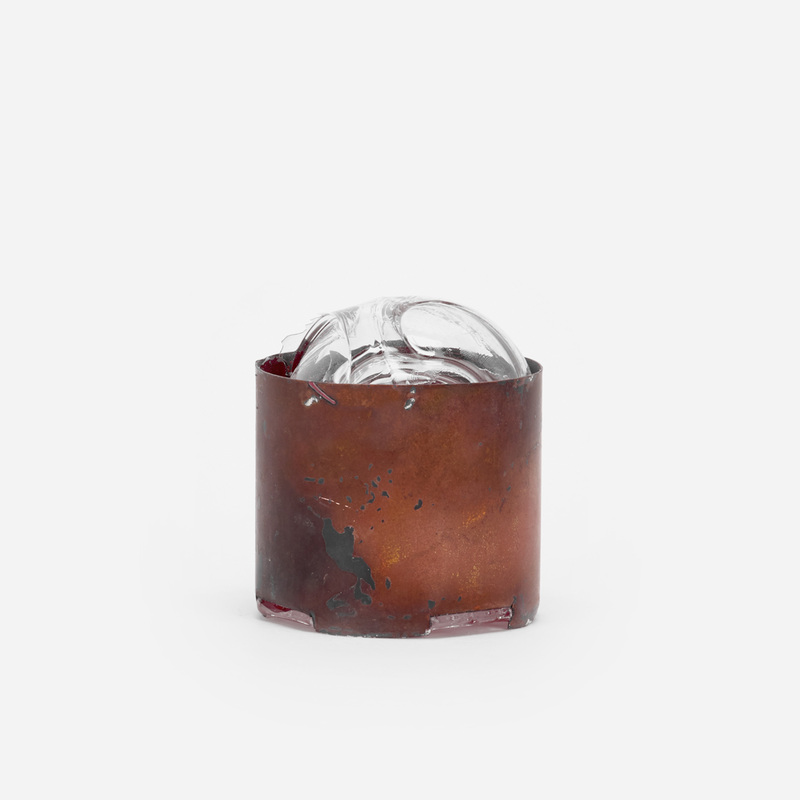 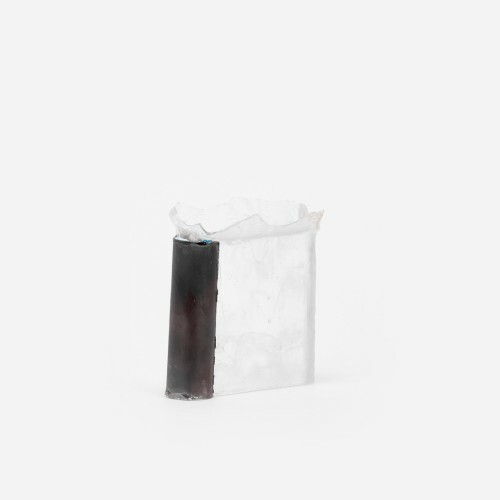 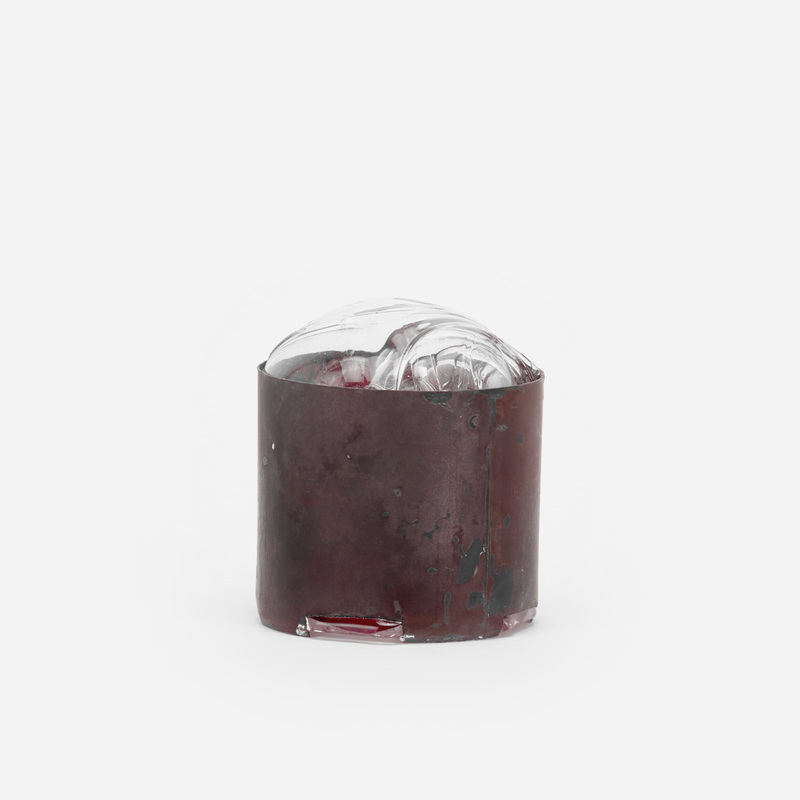 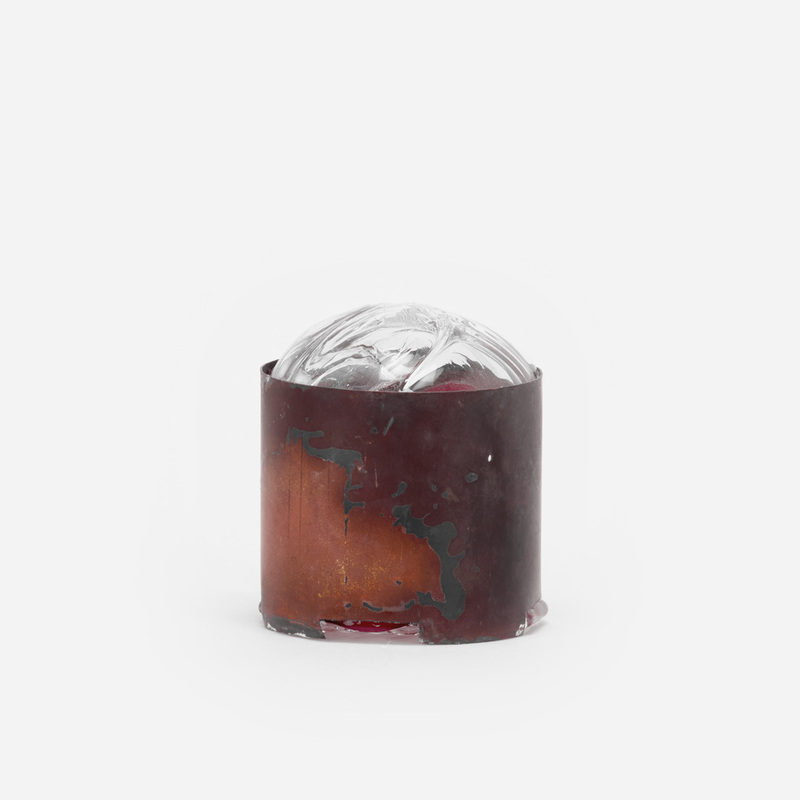 This test explores how the mould or one element of the mould could became part of the final object, using the glass to connect and hold the piece together. 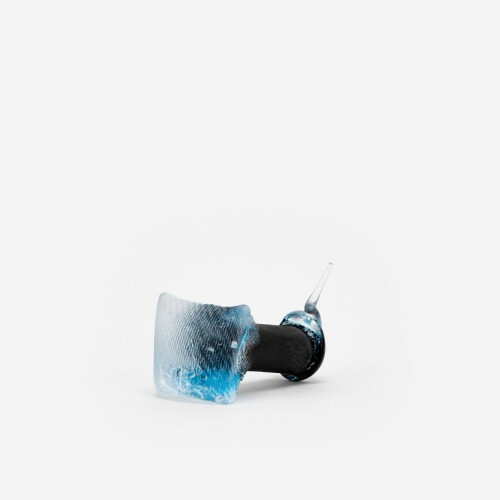 Casting glass in contact with heat sensible materials requires the technical knowledge to predict how the two materials will behave in therms of expansion and shrinking. 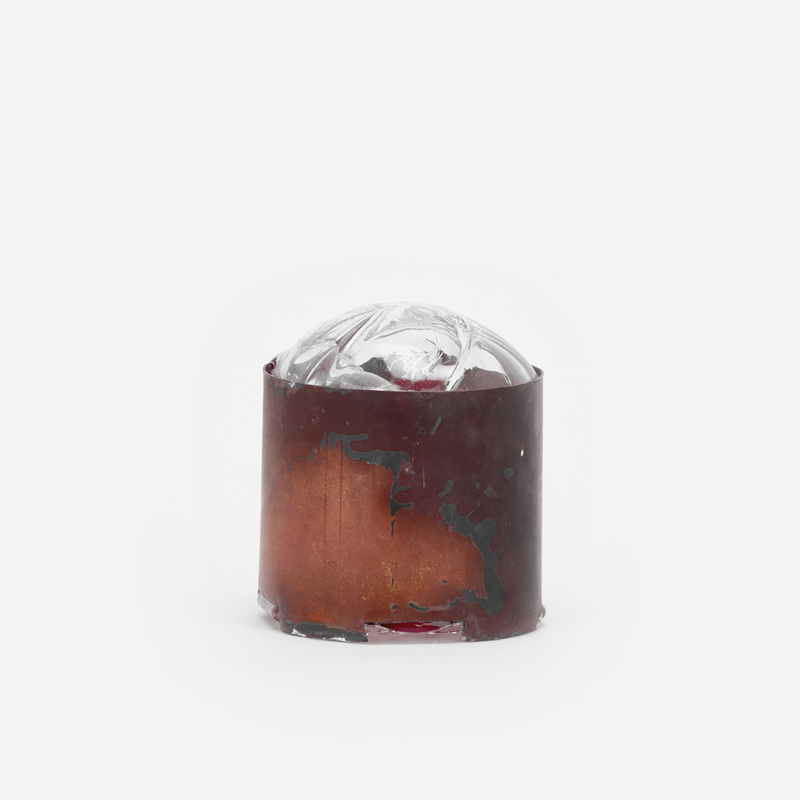 Many materials could stick to molten glass, but differences of elasticity and moisture could crack the piece in the cooling and lead to any significant result. 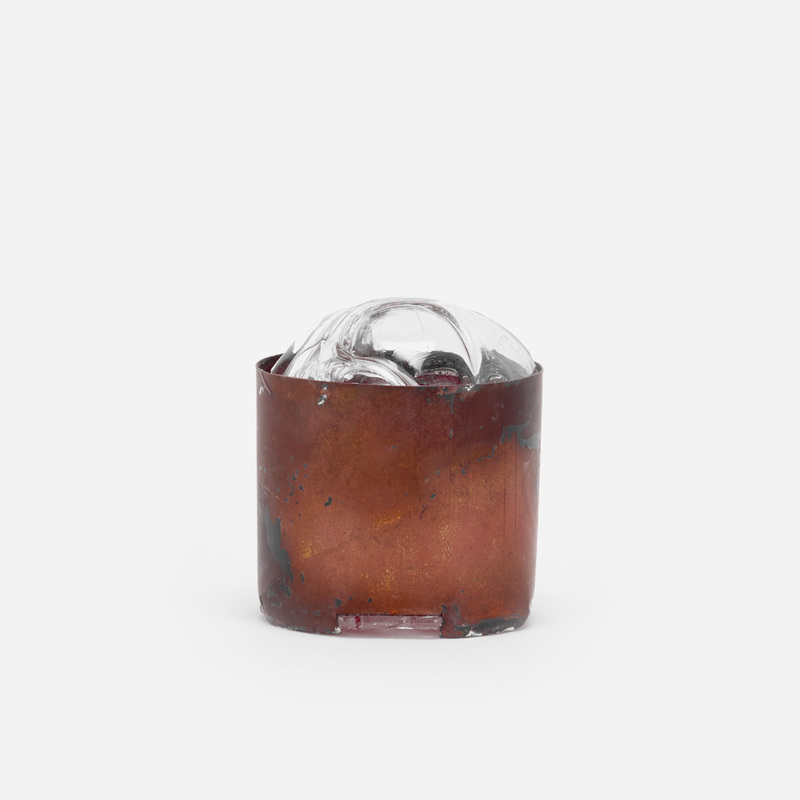 Copper and stainless steel, if not treated on the surface, would stick to the molten glass without breaking it afterwords. 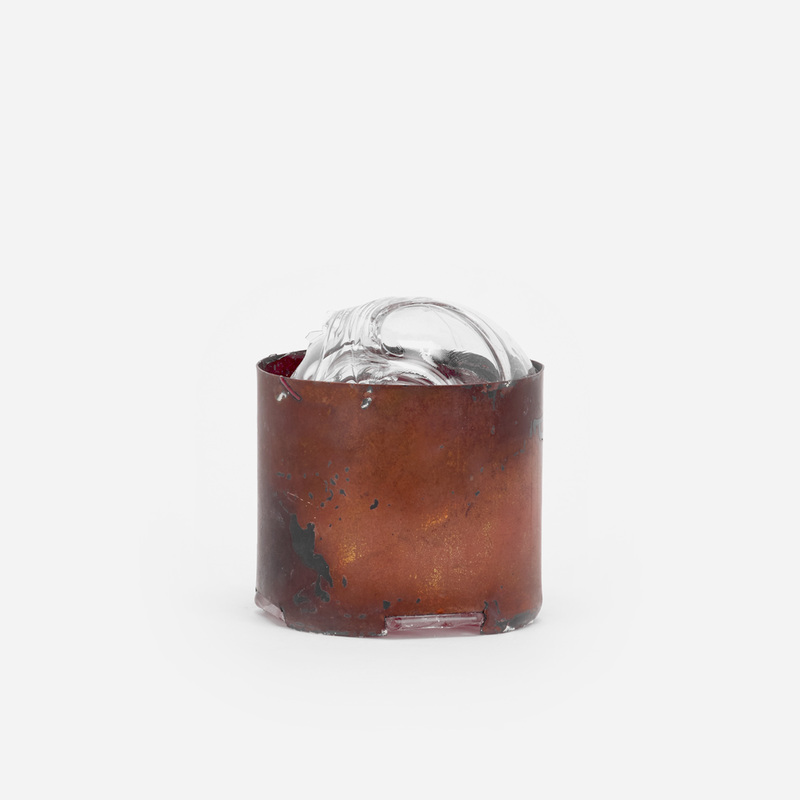 This exploration opens to the possibility of creating a functional object directly in the moulding phase, avoiding further mechanical interventions on hardened glass.